Yes, we live in the middle of the prairie, but that doesn’t mean Kansans don’t love skiing! Whether you’re headed to the slopes of Colorado or New Mexico or you’re cross-country skiing on one of our beautiful snowy winter days, we carry products to make your skiing experience a great one. Clothing that will keep you warm and dry. Goggles and sunglasses and sunscreen to protect you from the elements. Packs and water bottles and fun hats. 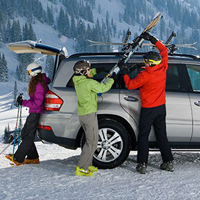 We can also help you get your skis ready for the slopes in our service department, and fit your vehicle with a roof rack to carry your skis. No matter where you’re skiing, we can outfit you from head to toe. Windproof hats, waterproof gloves, layered ski jackets, warm base layers, insulated ski pants, padded ski socks – we’ve got it all. Keeping your head warm is one of the most important keys to keeping your body warm, and we carry hundreds of hats that will help – from fun Peruvian style hats to windproof beanies, and even headbands and ear warmers if you won’t need a full hat but still worry about your ears. Another key piece is a great pair of socks. What makes ski socks different? They are longer than standard hiking socks, to reach well beyond the top of your ski boot, and they usually have additional padding in the shin, making your boots more comfortable. We have been helping customers outfit their vehicles with roof racks for many years, and can help you figure out what system will work best for your vehicle and your carrying needs. Do you need to carry downhill skis in the winter and bikes in the summer? A kayak and a luggage box? These options can all be possible with a roofrack system from either Yakima or Thule. Both companies have a detailed Fit List that will allow us to find what parts we need for your specific vehicle. Our bike service department isn’t as busy in the winter, making room for working on skis! If you own your own downhill or cross-country skis, we can help you tune them up at the beginning of the season, whether they need edge work or just waxing. We can also help you at the end of the season to you put your skis away clean, avoiding rust and damage while they are in storage. For more extensive services, we can now send your skis or snowboard to our sister store Alpine Shop in Kirkwood, MO. Services include binding installation, adjustments, and repair, ptex/epoxy base or topsheet repair, and precision tuning. 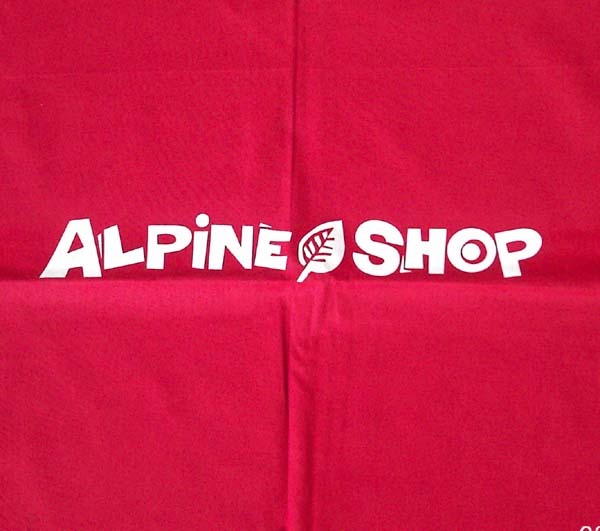 For more details on available services, click on the Alpine Shop logo below.